Logic4training has launched the Ultimate Guide to Plumbing Careers, a free guide to becoming a plumber, providing useful advice for school and college leavers, career changers or employers looking to up-skill existing staff. What to do if you want to specialise in a particular area; whatever age or stage in your career. The guide also offers useful advice to employers, providing ideas for career development to help keep their staff motivated and businesses progressing. Covering both the domestic and commercial world, The Ultimate Guide to Becoming a Plumber looks at the different routes you might take in order to qualify. From apprenticeships to part-time college courses for older applicants and options for those with more experience. The guide starts out with a summary of the varied work a plumber tackles day-to-day. It’s not just installing taps and bathrooms; there are heating and drainage systems to plan and install, appliances to repair and water routing and sanitation systems to sort out. “We’re delighted to launch this new guide, which will hopefully go some way to encouraging youngsters and experienced workers alike to explore career opportunities in this rewarding sector. 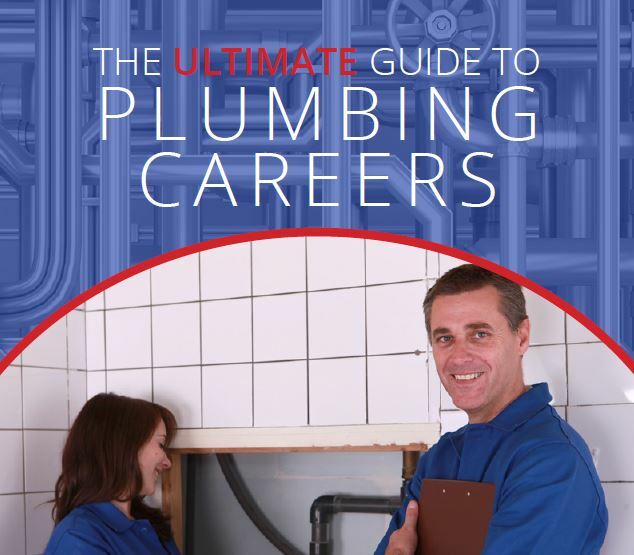 “The Ultimate Guide to Plumbing Careers joins our suite of guides, including advice on becoming an electrician and gas installer, plus general business guides for SMEs looking to expand and develop. Are you interested in Plumbing NVQ’s?